The bridal party has arrived! Sorry, Meghan, but the real stars of the show arrived! We’re kidding, of course. 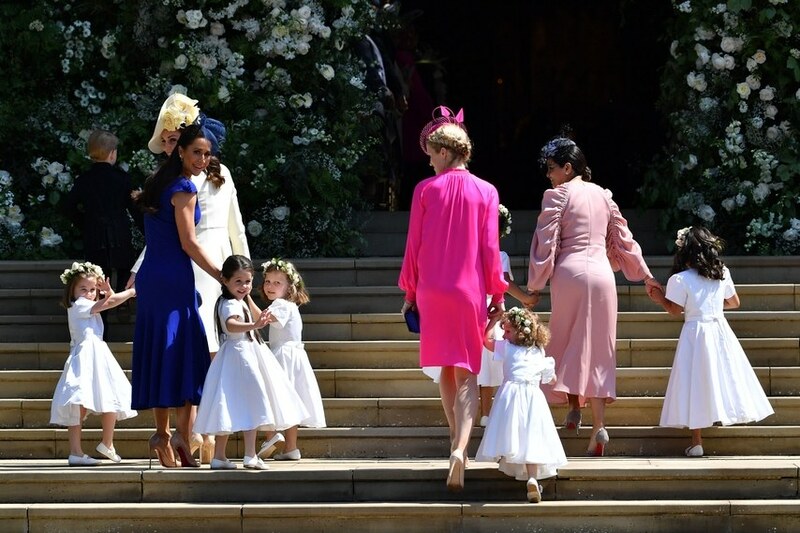 Meghan Markle and Prince Harry are obviously the main attractions at their royal wedding today, but their itty bitty bridal party is definitely giving them a run for their money. With Prince George and Princess Charlotte leading this precious pack, have you ever seen a wedding party so gosh darn adorable? Per British tradition, royal brides and grooms are usually accompanied by young bridesmaids and pageboys at their ceremonies. In fact, it was a major surprise when Kate Middleton included her sister Pippa in her bridal party back in 2011 as maid of honor. 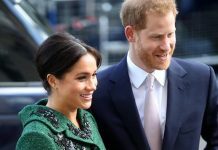 But unlike her about-to-be sister-in-law, Meghan Markle opted to keep with tradition with a bridal party full of tiny tots, choosing not to have a maid of honor. 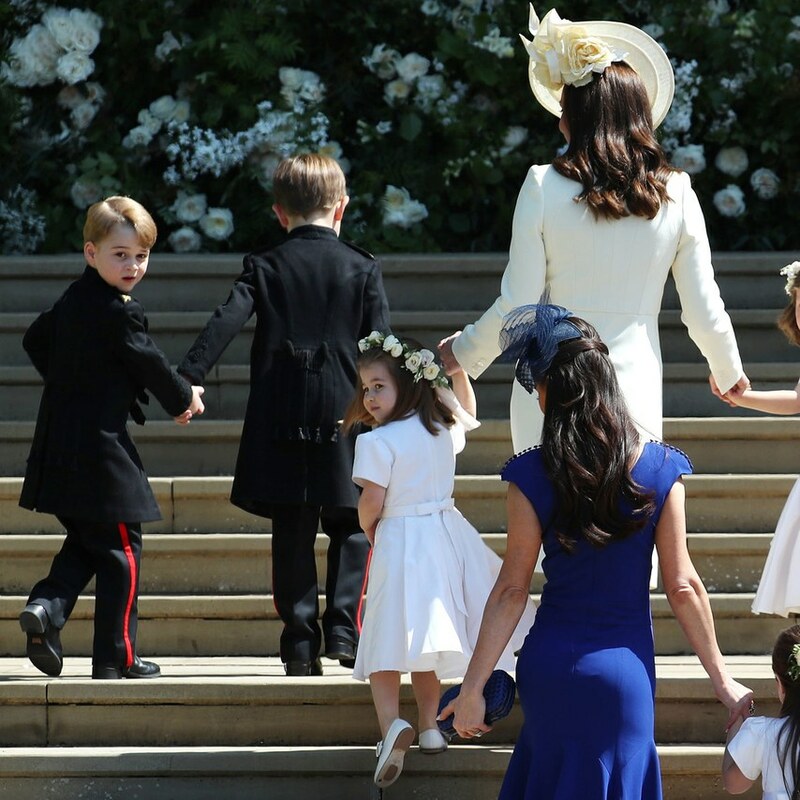 Four-year-old Prince George and three-year-old Princess Charlotte naturally made the cut for pageboy—a young attendant who traditionally carries the train of the bride’s dress—and bridesmaid roles respectively. 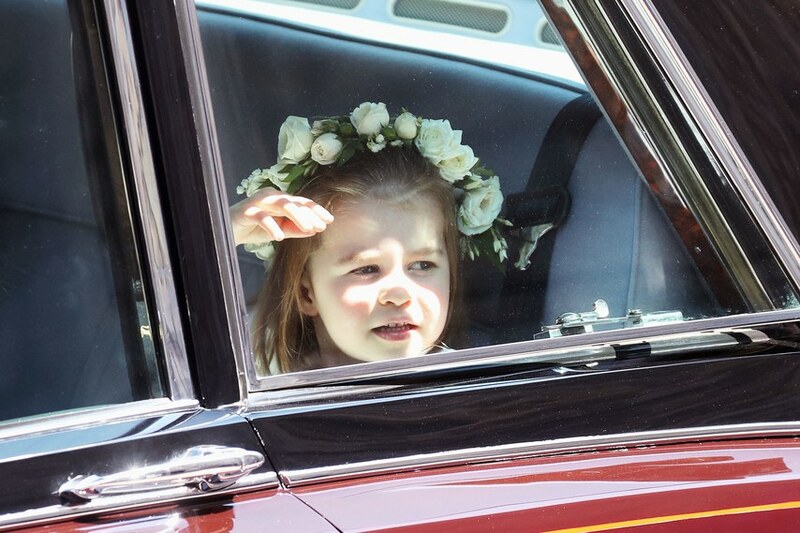 They arrived at their Uncle Harry and Auntie Meg’s royal wedding looking just darling in a little white button up for George and an adorable flower girl dress for Charlotte. 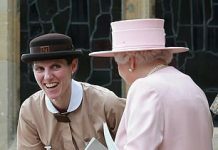 These two are old pros at the wedding-party game: The got plenty of practice at Pippa Middleton’s wedding last year! 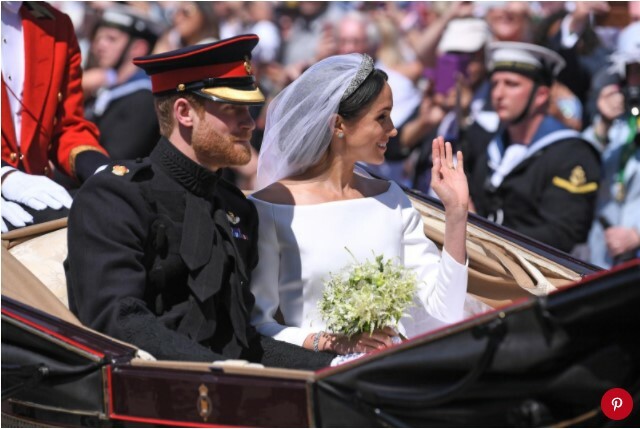 But Prince George and Princess Charlotte weren’t the only members of the royal wedding party. 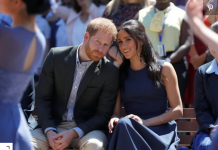 Three-year-old Florence van Cutsem (Prince Harry’s goddaughter), six-year-old Remi and seven-year-old Rylan Litt (Meghan’s goddaughters), four-year-old Ivy Mulroney (the daughter of one of Meghan’s closest friends and stylist, Jessica Mulroney), and two-year-old Zalie Warren (another of Prince Harry’s goddaughters) all scored spots as bridesmaids. Meanwhile, six-year-old Jasper Dyer (the son of Mark Dyer, an old friend friend and mentor of Harry’s), and seven-year-old Brian and John Mulroney (bridesmaid Ivy Mulroney’s big brothers) joined Prince George as pageboys.